According to Forbes, millennials are more inclined than Baby Boomers to support a company that contributes to a social cause, “such as TOM’s shoes or Warby Parker”. With American shoemaker TOMS, they promise to help a person in need with every TOMS product a customer buys. 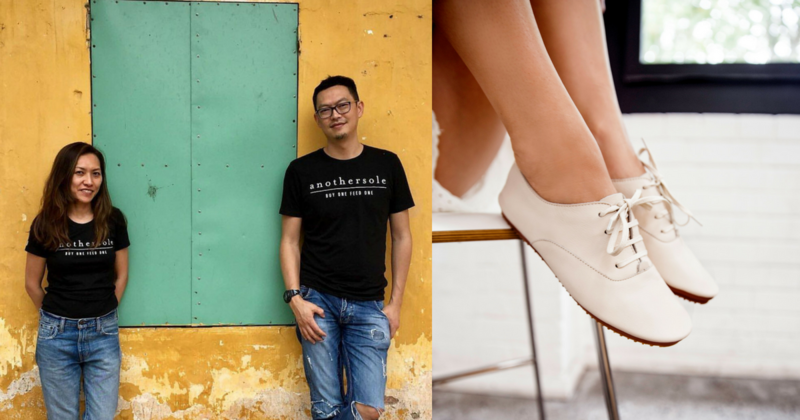 What many might not know is that a Singaporean shoemaker is also doing just that; and with every pair of their shoes you buy, they feed a child. Benny Chee and Phoebe Charn, both 45, have been friends for 20 years. They started a business that designed and supplied footwear to international chain stores in 1999, opening a retail store in town. “Our first shop was meant to be a surf shop selling Havaianas slippers with hand-sewn beads, board shorts and singlets with embroideries. We were really into wakeboarding then, and the pull of our hobby was too tempting,” shared Benny. He remembered they were in Bali at that time, and were “desperately looking for a solution” as they had already signed the lease and renovations were underway. A friend told them about handmade sandals and that was what sparked the idea for their business. “Without any contacts, we hopped on a taxi and badgered the driver to take us around looking for sandal producers in Bali. Through a series of fortuitous events, we opened the shop with seven styles,” he recounted. In 2003, they pivoted to trading when China had a manufacturing boom, and moved their families there to build their trading company. Anothersole, their latest venture, is a shoe-making business fully funded out of their own pockets. “I recall us withdrawing $10,000 from the ATM with two other shareholders and (we) grew that business into a eight-figure business,” Benny recalled. It was hard work and “mentally gruelling”, he said, because they made plenty of mistakes. 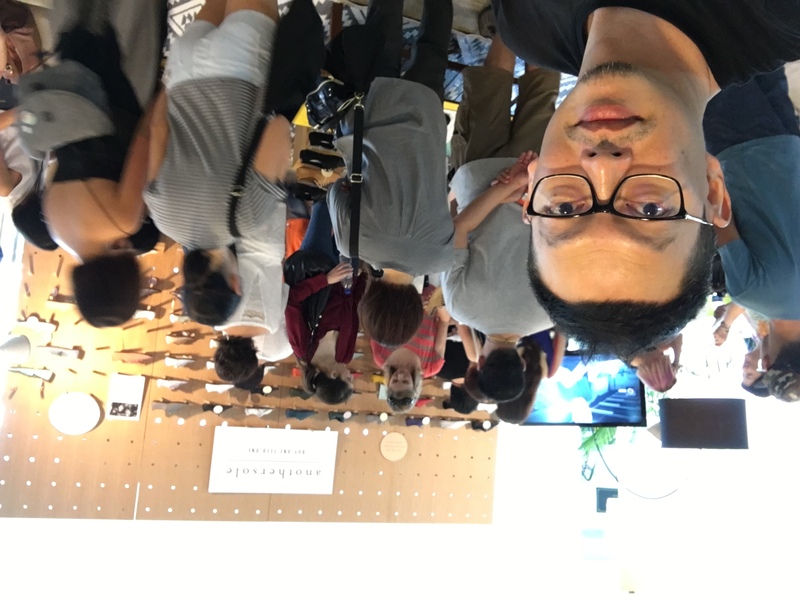 What encouraged them, however, was the “overwhelming feedback” that they got from a survey of 200 people at Orchard Road regarding their prototype, and how they “were willing to fork out between USD$90 to USD$150” for a pair of Anothersole shoes. Within weeks of launching, Anothersole’s debut batch was sold out. The launch price was just USD$49.90. Benny said they decided from the start that they would “reach out to real people first”. They spoke to ladies and created a psychographics in the personification of Anothersolegirl. “We became an instant success for the value it brings to customers. To do that and to donate 10% of sales, requires us to be frugal on operating costs,” Benny shared. However, they had fitting issues when selling online, so they decided to offer free shipping returns worldwide, which is “rare” for a startup, Benny noted. They created two different sites to serve the Singapore and international markets to save on logistics costs. Their international pricing is marginally higher to accommodate the same service standards and returns guarantee. Benny explained that the shipping costs to the States would cost more than the total price of the shoes, so it’s “imperative” for them to offer free returns instead of passing on the cost to customers. He added that they do their best to be responsible for their shortcomings in the business. Benny believes this approach will benefit the brand in the long run. 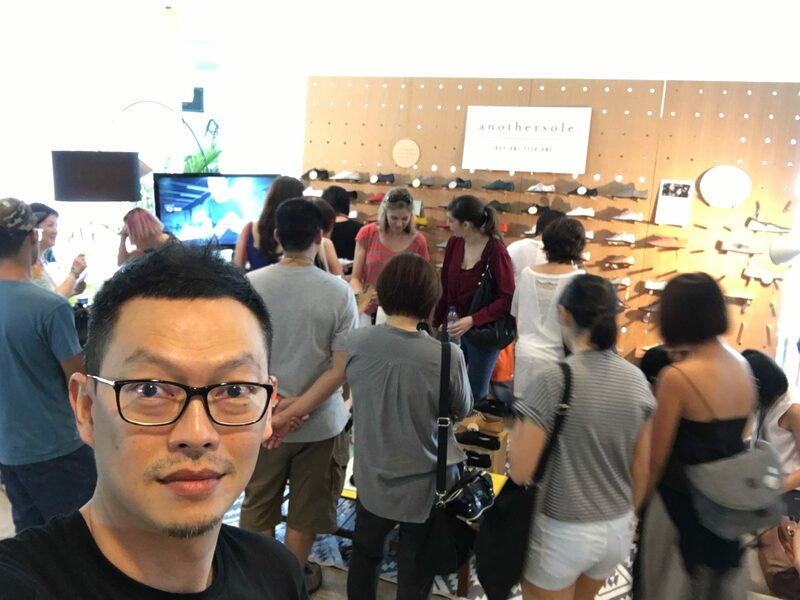 Anothersole was launched in Singapore just 19 months ago but they have been live online since November 2016. “In our first season, we sold to many stockists in Europe, Hong Kong, and other parts of the world,” Benny told me. We have since decided to stop doing wholesale as we wanted to focus on building the brand in Singapore first instead of wholesaling. It is very good money but not the best manner to build a brand. “One early challenge was trying to make leather shoes feel like running shoes. We wanted to combine running shoes technology with leather craftsmanship without making them bulky,” Benny shared. They created a versatile, “good-looking product” that weighs 280 grams – less than a can of Coke – and can be packed flatly to save space. The shoes perform like sneakers as its signature footbed can absorb impact. Leather is stitched directly onto a flexible rubber sole, which “makes the shoes as soft as gloves”, Benny described. “Our customers almost always go ‘WOW’ when they first put them on,” he quipped. If it isn’t good for us, it is not good for you. That is our driving motto as a brand and whenever we make mistakes, we correct them and do better – ALWAYS. He told me that they have dropped suppliers who couldn’t meet their demands and have made losses on rejected materials. Now, they’re working with approved tanneries that adhere to European testing standards, including tanneries that supply to luxury brands in Europe. Out of respect for their Muslim customers, Anothersole uses goat or cow lining instead of pig leather lining. Even though the perceived value of their products is high, Benny and Phoebe wanted to sell “at honest prices without excessive markups”. Benny shared that he named the brand, Anothersole, because he wanted it to be easy to recall and meaningful. “‘Anothersole’ also sounds like ‘Another Soul'”, he said. “With our Buy1Feed1 programme, 10% of our sales goes towards helping marginalised children who suffer from malnutrition, and [the brand] name is synonymous with helping another soul,” he stated. “Giving money away is soooo difficult. Really,” Benny began. They were afraid their funds would be misused and were cautious because they have no time to do thorough audits. Benny came to know about World Vision when a pair of Mongolian orphans came to Singapore to perform in a church, and shared about their lives before World Vision adopted them and helped them. 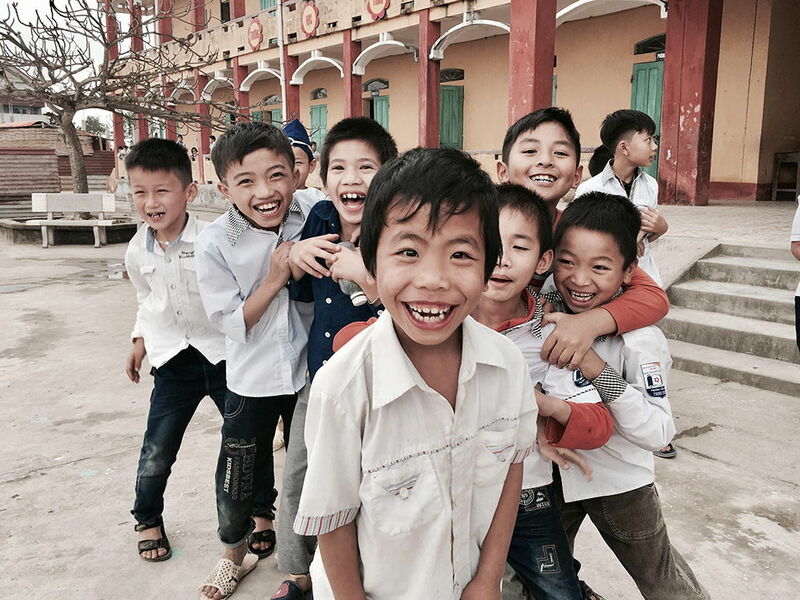 “That interaction led me to our first meeting with World Vision Singapore and I walked away satisfied enough to leave our options open before donating any monies,” Benny recounted. The team saw firsthand how they were tackling social problems and poverty with a multi-pronged approach. 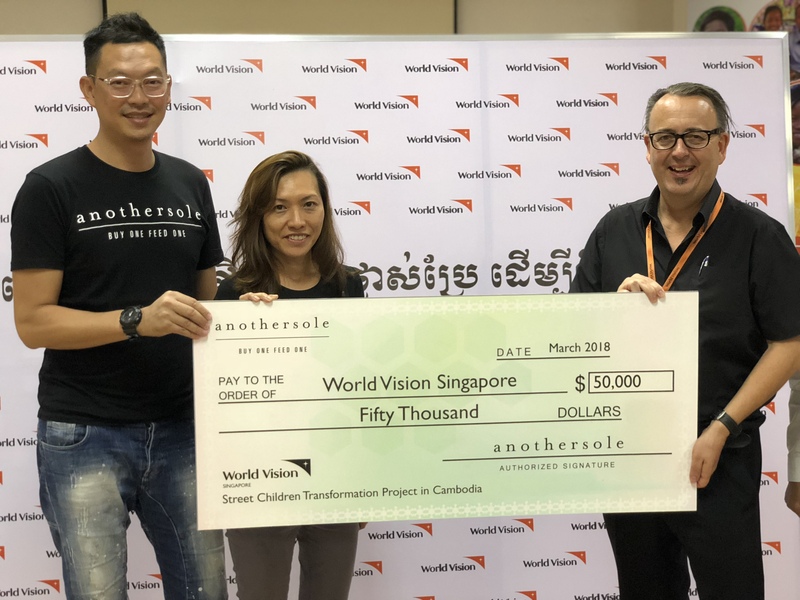 So they decided to partner with World Vision for Anothersole’s Buy1Feed1 programme and committed $100,000 to them in their latest Cambodia mission. “Some have challenged me on why we chose to work with an NGO with a sizeable administrative cost and how I would be able to verify where the dollar ends up,” Benny said. “Besides, if Anothersole were to do it, we would also incur the same overheads to administer aid and we would still not know if our money is being siphoned away or the donated rice is being resold as we are not there,” he explained. He added that their “conscience is clear” and hopes the same for their partners too, and emphasised that it’s their revenue they’re giving away, not donations. Benny continued saying that even though they managed to set aside more than $100,000 in their first year of operation, their real goal is to give away $1 million annually and cited TOMS as their inspiration. His advice to local businesses looking to expand or base overseas is to “go online and put in the hours”. Establishing an international presence also means one should be prepared to work irregular hours. He encouraged people to “go out there and do something”. “Test, launch and pivot. Repeat the cycle. Just make sure you have the mental fortitude to ride out the doubts. When I started I had no clue whether I was doing it right. I just went out there to do it,” he remarked. What kept us going [was the fact that] we have no back door. We just have to make it work. He revealed that they are currently testing and creating new products for the next season. Check out their website here, or visit them at their popup store at 59 Eng Hoon Street.